If you’re looking for the perfect breakfast appetizer, look no more. 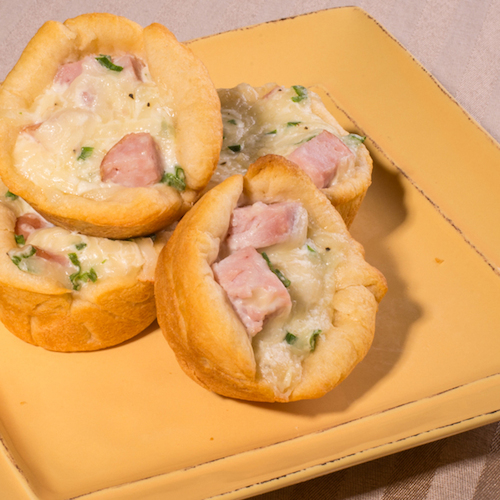 Swiss cheese and ham tartlets won’t last long at your next brunch! Combine cheese, ham, onions, sour cream and mix well. Add salt and pepper. Place tart shells on large baking sheet. Bake at 375° for 10 minutes only. Remove from oven and divide cheese mixture evenly among shells. Return to oven and bake for 10 minutes more or until filling is hot and melted.